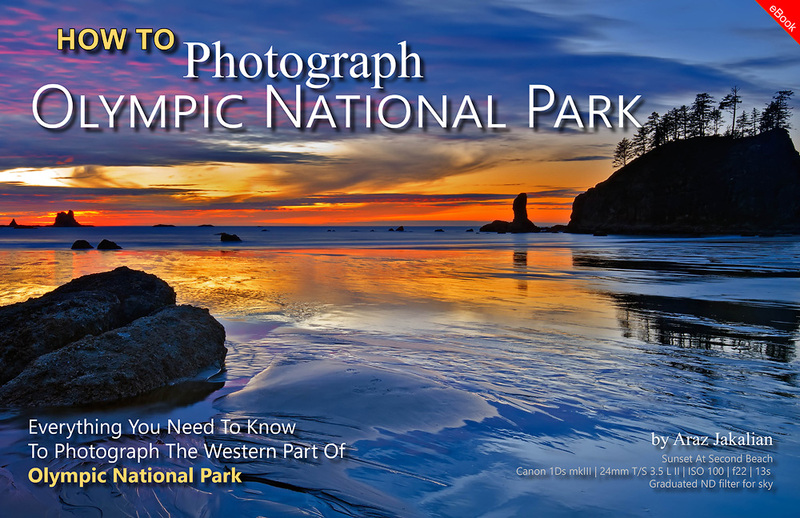 This eBook is created for the landscape photographer who is planning to visit Olympic National Park (ONP) for the first time. It is organized to greatly reduce the amount of research needed before visiting this spectacular park. I highlight the important beaches, waterfalls, rain forests and even some wildlife locations. An integral part of planning any trip is having useful information about travel, weather, accommodations and food. It’s all included here with a focus on the needs of the photographer. Also special attention is paid to the tides at ONP. Please note that the information in this eBook is dedicated to the western part of Olympic National Park. Also, the book assumes that you are familiar with camera and exposure settings for landscape photography. Included locations: the City Of Forks, La Push, Second Beach, Third Beach, Rialto Beach, Ruby Beach, Lake Crescent area, Marymere Falls, the Hoh Rainforest area, the Sol Duc area and parts in between. I hope this eBook will serve you well as a resource to help you prioritize your daily photography activities while on location.